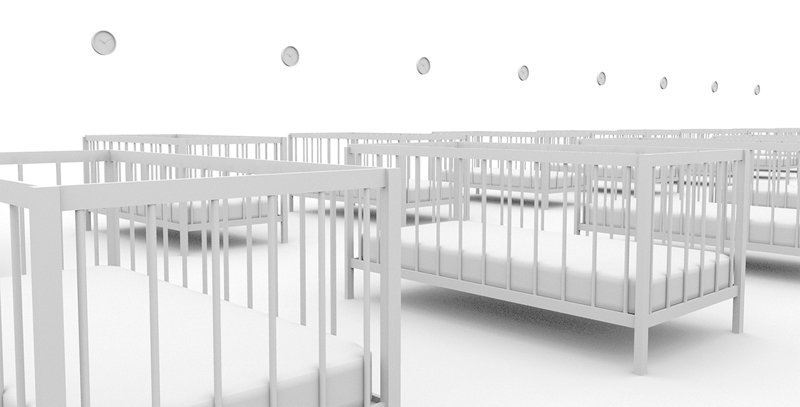 A white room is filled with white cradles, ordered by lines. White clocks will be hung on the walls. All clocks ticking at the same time.